Hong Video Technology, Inc. has proven itself as a leader in the repair and remanufacturing of high-technology electronic components. We offer service departments an alternative to the high cost of purchasing new electronic components for service replacements. By partnering with Hong Video Technology (HVT), our customers save money and minimize scrap while reducing the need for huge final parts buys. Three key areas of service. 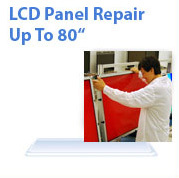 Today our key areas of service are LCD panels, DLP light engines, and printed circuit boards. As new technologies emerge and it becomes clear that service departments can benefit from repair of the new technology, HVT will expand its services. Our customers include manufacturers, OEMs, systems integrators and other volume service providers across all industries. You're invited to tour our facility. You'll see photos of our first-class operation on this website. However, we believe there's no better way for you to understand the cost benefits of electronics repair, or to measure our capabilities, than to visit Hong Video Technology and see our operation in action for yourself. To find out more about how HVT can help your company to reduce the high cost of replacement parts, and to arrange a tour of our facility, email us at inquire@HVTnet.com.